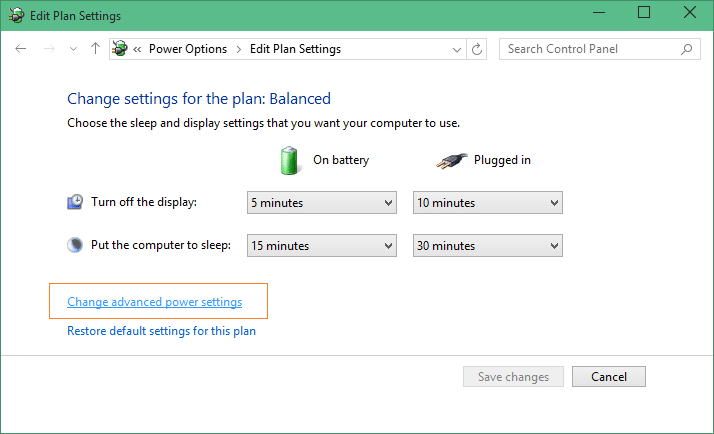 It has always been possible to change power plan settings in Windows operating system to save and extend the battery. 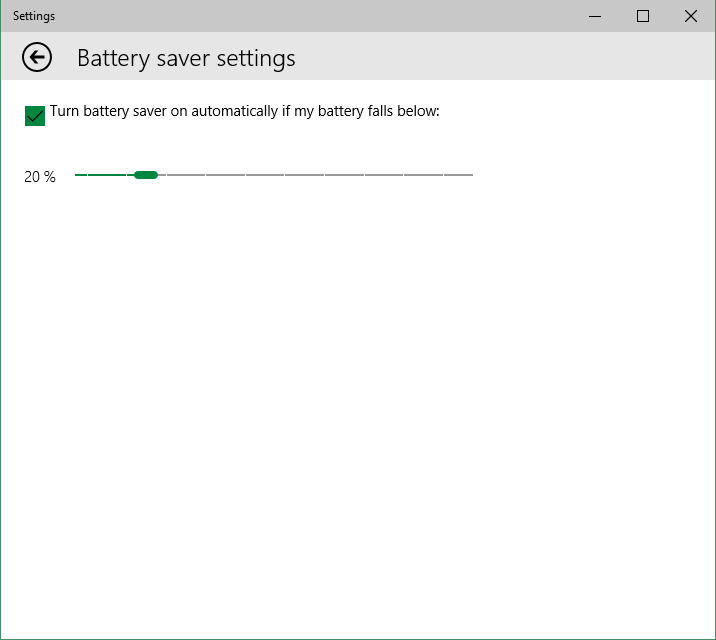 There are dozens of software around claiming to improve the battery life but you no longer need to go for third-party battery saving software as Windows 10 ships with Battery Saver feature. 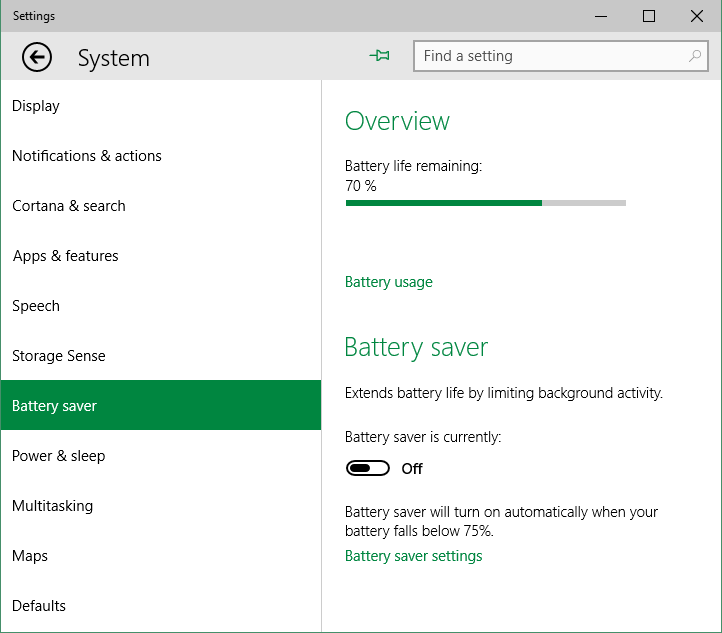 Battery Saver is one of the hundreds of new features introduced with Windows 10. 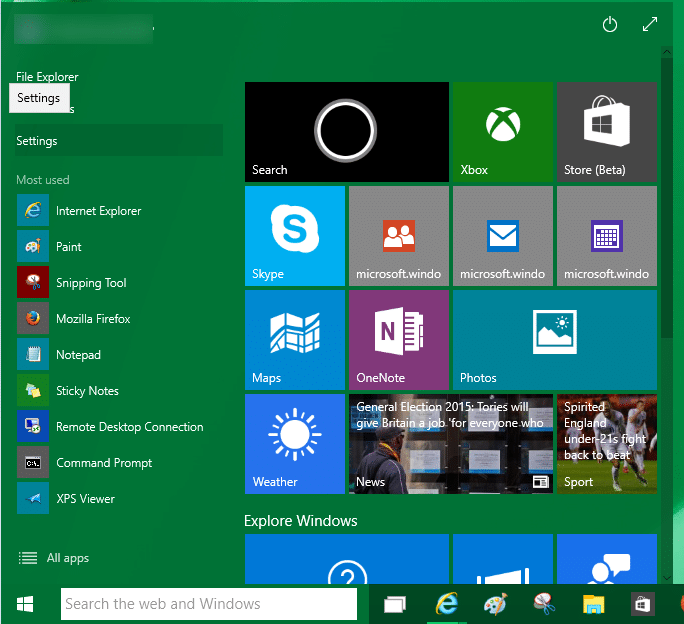 As the title of the feature goes, the feature is designed to extend the battery time of devices running Windows 10 operating system. By default, the feature gets automatically activated when the battery level falls below 20%. And when the Battery Saver is active, you can see a small green icon on the battery icon located in the system tray to indicate that the Battery Saver feature is active. 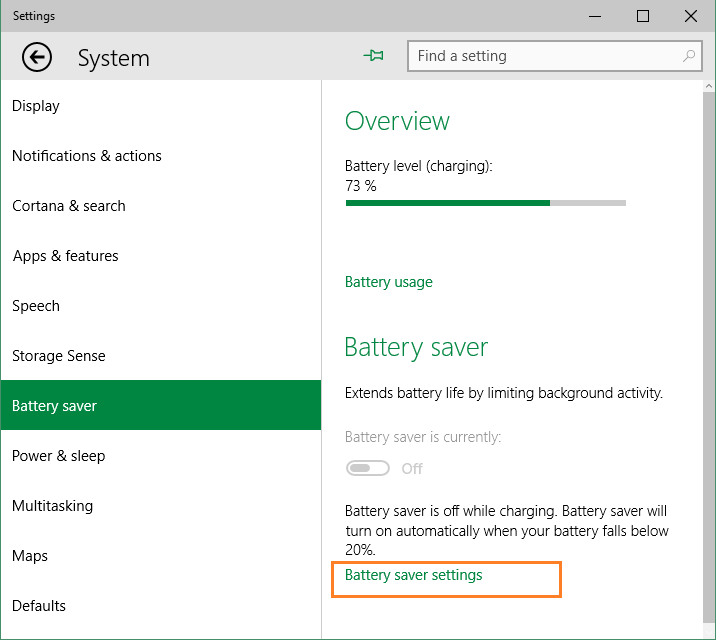 Although Microsoft has not revealed much about this feature, it’s said that Battery Saver limits background activities to improve the battery time. As mentioned above, with default settings, Battery Saver is turned on only when the battery level goes below 20%. 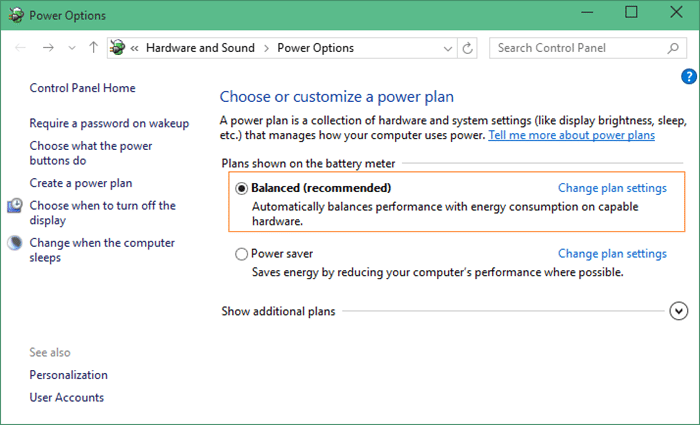 You might want to change this default setting to 40 or 50% to improve the battery time in Windows 10. It’s important to note that Battery Saver is turned off while charging even if the battery level is below the specified percentage. Battery Saver is obviously not available on computers without batteries. By default, the Battery Saver is kicks in when the battery charge goes below 20%. But if the feature is not getting activated automatically, you can use this method to enable the feature. Step 1: Open the Settings app. To do so, click or tap the Settings app icon in the Start. If Settings is not appearing in Start, please type Settings in the search box and then press Enter. Step 2: Once the Settings app is running, tap or click System (Display, notifications, search and power) icon. Step 3: In the left-pane, tap or click Battery Saver to see overview of battery saver feature. Step 4: Click or tap Battery saver settings (see above picture), and make sure that the option titled Turn battery saver on automatically if my battery falls below is checked. To change the default 20% value, move the slider bar. Step 1: Open Settings, and navigate to Battery Saver by following the instructions mentioned in Step 1, Step 2 and Step 3 of the above method. 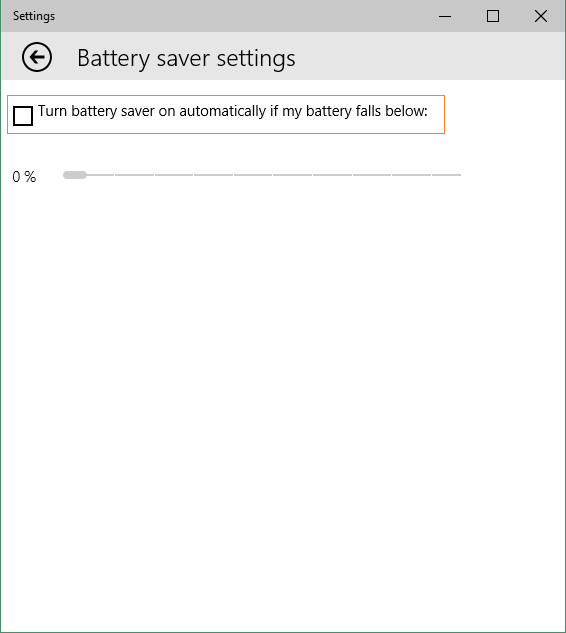 Step 2: Tap or click Battery saver settings, uncheck the option titled Turn battery saver on automatically if my battery falls below option to disable Battery Saver feature. Step 1: Type Power Options in Start search box and then press Enter key. Power Options window can also be launched by clicking on the battery icon and then clicking Power Options. Step 2: Under Power Options window, click or tap Change plan settings link next to your desired power plan. Step 3: Click or tap, Change advanced power settings to open the small Power Options dialog. Step 4: Here, expand Energy saver settings, and then expand Charge level. Step 5: Change On battery (Percent battery charge) value to 0 to disable Battery Saver. We will update this article with more information soon. 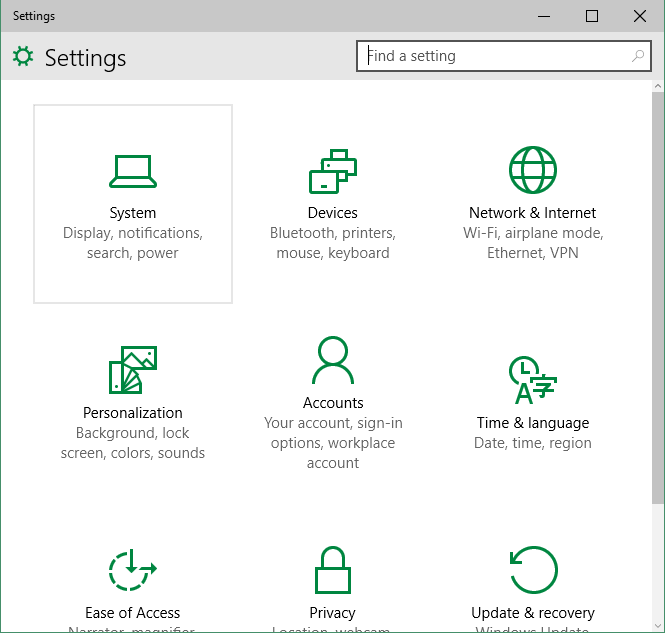 hello, whatever i do i cannot find this menu on my windows 1607 14393.331 build :( is it another menu ? netiher on the desktop or power scheme i GPO. (3) The Battery saver is currently stubbornly stuck on “on” despite me having set the settings to “off” by unticking it …. (4) It seems that the Windows Update routine is unwilling to work while it feels battery saver is on… (Well, that is my guess…)…. The symptoms are that it shows that there are updates ready to download and install, but clicking on the grey “Download” button does absolutely nothing….. Meanwhile the prompt “Battery Saver is on. Plug into mains before you install updates” is showing which is wrong, I AM plugged into the mains….. ! So I seem to be stuck. I think I have identified a hardwae/SW buggie loop that unsettles WIn10.